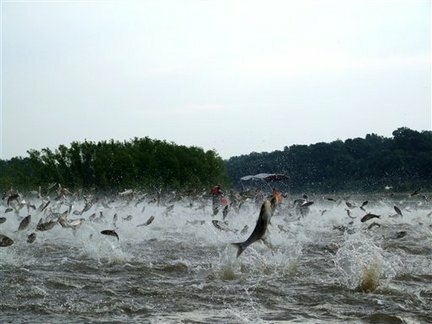 The Asian Carp continues its long march to the Great Lakes. An invasive species that can reach 4 feet long and 100 lbs and consume up to 40% of its bodyweight daily, the carp will wreak havoc on the lakes’ ecosystem if and when it reaches there. Currently, it’s in both the Mississippi and Illinois rivers and travelling northward.